Hey, my name is Matt. After driving a Cobalt LT coupe for 8 years, I just bought a new Cruze LT in graphite metallic, with the RS package. Loving the car, so far. However, it doesn't seem to take much to scratch the interior vynil. I also owned a Cobalt 2LT before the Cruze. 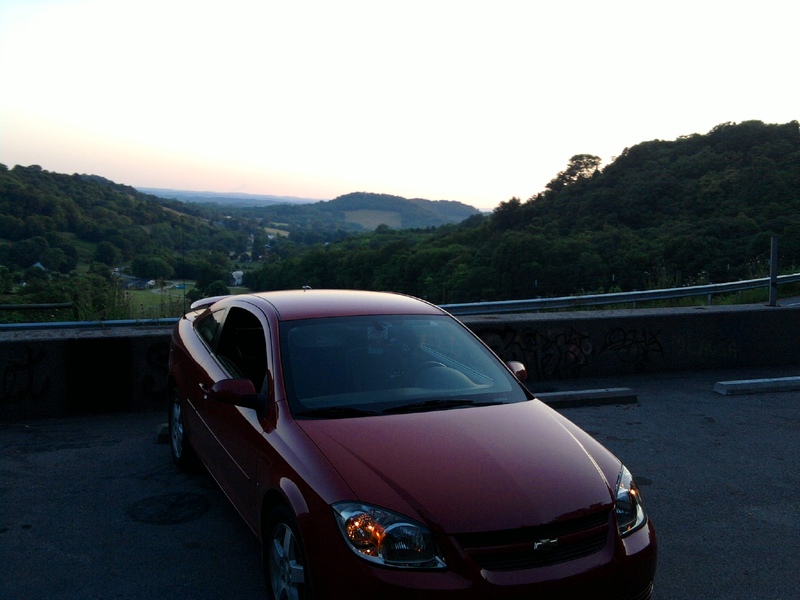 I miss my Cobalt's amazing 5-speed manual gearbox, light weight, and 2.2L naturally aspirated engine. I fell in love with the Cruze and everything, but I missed how well the Cobalt drove, so I bought a car that focused on everything I missed about the Cobalt. I bought a Miata. It's even lighter, the gearbox is more amazing, and it's a convertible! I kept the Cruze for when it's raining, I need to haul a lot of people or tow my motorcycle, for the winter months, and when I'm having one of those days and I want to smoke cigarettes on the way to work. Here she is in all her glory! Last edited by chevrasaki; 06-10-2017 at 12:04 AM. Newb posting to say hello. Haven't bought a Cruze yet but with the factory employee pricing its hard not to pull the trigger. Wanting to find a diesel hatchback with manual is like finding a pink unicorn LOL! Anyway glad to be here. Hi I'm new and I was just wondering if someone could tell me how to start a new thread for a question that I have. Welcome to CruzeTalk. Odds are the answer to your question can be found here. First try a Google search using the term “CruzeTalk” along with a word or phrase related to your question. Go to the top of the page, click on FORUM. The Forum is subdivided into major categories for Gen 1 (up to 2016), Gen 2 (2016 to present), DIY sections and further subdivisions for Gen 1 and Gen 2 Diesels. Find the subdivided section of the Forum related to your question and click on the black button labeled “+ Post New Thread”. Be sure to include Year, Odometer, Trim with your question.